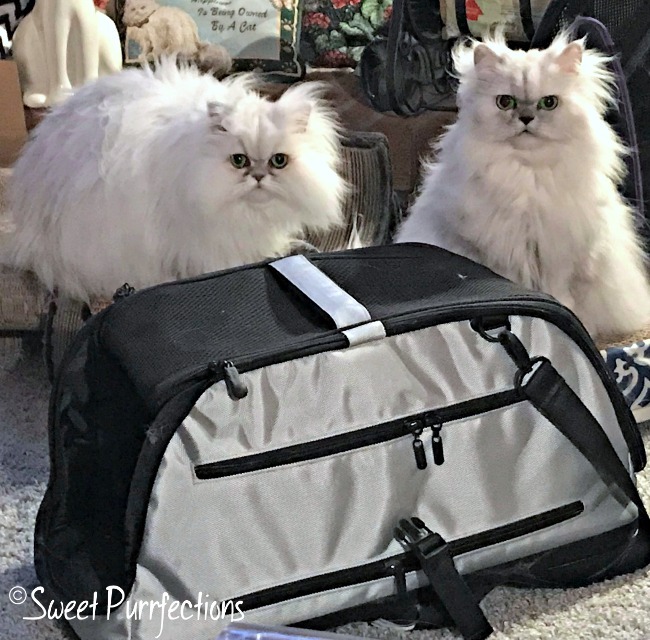 Do you wonder what Brulee and Truffle are saying to Mom Paula as they look at her from behind their Sleepypod® Air? June and July were pretty rough for both Brulee and Truffle with illnesses. Thankfully, it appears both of them are much better. They've been a little irritable lately with each other, but we're getting more photos of the two of them closer together, too. They definitely like to keep Mom Paula guessing. We encourage everyone to drop over to The Cat on My Head to see other Sunday Selfies today. 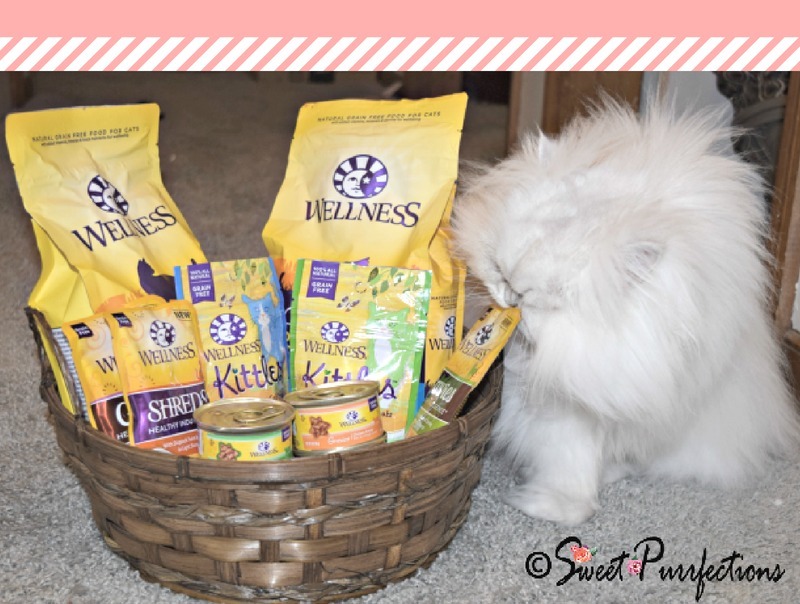 We'd like to congratulations Mom Dawn from Lola the Rescued Cat on winning the giveaway for the $100 in products from Wellness® pet food. We know Lola and Lexy will enjoy the variety of flavors and textures Wellness offers. Lola and Lexy will be SO spoiled with all that Wellness stuff. ConCATulations gals. Oh and you two ;-) Give your poor mom a break eh? Oh, I bet Truffle and Brulee are hoping that neither of them have to go back in the carrier! Glad they're both doing better now! Ditto what Lone Star Cats said. Truffle and Brulee, you are two of the most gorgeous creatures ever created! So glad they are better. And that is a scrumptious photo of them! Congrats to Lola! We agree with Summer. They're probably thinking they don't want to go in the carrier! They are thinking ,"where can we hide this? " Congrats to Lola and Lexy. I am glad both girls are feeling better now. Brulee & Truffle today you got some GREAT selfies and we hope August turns into a good month for both of you. We bet they’re thinking...don’t put us in there! Congrats to Lola and Lexy! We're glad Truffle and Brulee are doing better then they were the last couple of months. We hope from now on there with be no problems coming about. Congratulations to Lola and Lexy. They are going to be set now for a little while with all those goodies. Thanks for the share. Have a great day. CONCATS to Lola and Lexy for winning a smorgasbord of noms! I sure was worried about Truffle and Brûlée. They did go through an awful lot. I sure hope they don't have to go through sickness again EVER! Kisses!